Royal snow is the warmest and it doesn’t melt and get yucky and inconvenient. Angelic, light and fluffy is best. The angelic Royal Princess gown collection waits for you by Paris METRO Couture. 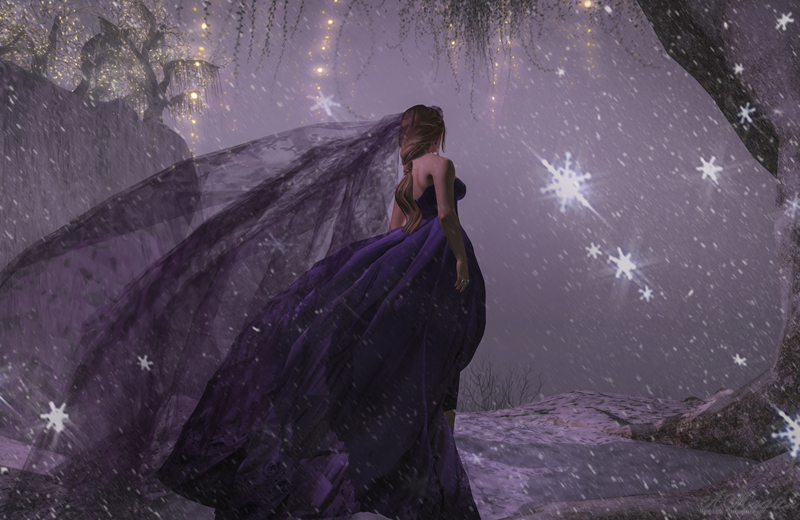 Wear your Sydney Koalas VIP tag to grab your Star Angel Ultra Violet gown GIFT just for you! Our Paris METRO Couture Collectors and VIPs are always royal. HAPPY HOLIDAYS & HAPPY NEW YEAR TO YOU! 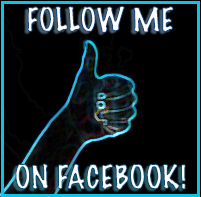 Click the images to see them larger please! YOUR GIFT!! 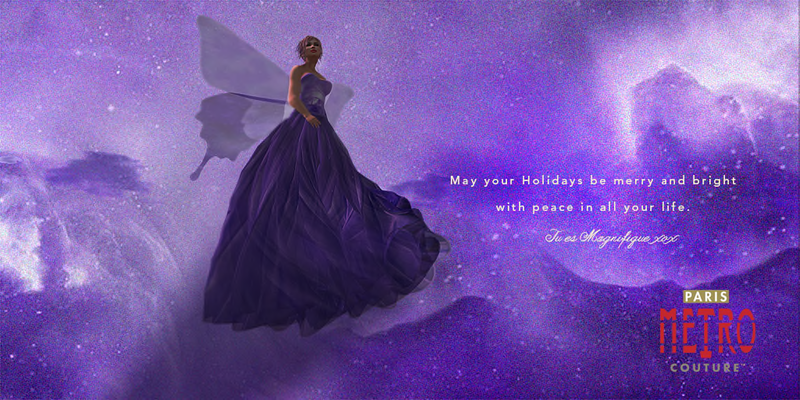 Star Angel Ultra Violet Gown with wings! Collectors pricing of 450L. Fits Maitreya, Belleza, Slink, Omega and classic avatars. Warm wishes to you this holiday season and remember you are beautiful! I am also wearing Lazuri!!! Lazuri is my favorite Jewelry designer in SL! I walk in there and its like my own huge jewelry box! Lazuri Ophira set with metals and stones color change. Lazuri: Ophira set with color change metals and stones, necklace and earrings.